AlphaSphere stimulates and connects your senses. Different perceptional dimensions blend into one holistic multisensory experience. Hearing, seeing, feeling – AlphaSphere allows you to experience your senses not as separate sensations, but as a whole. Colour, shape and light in unique combination with sound, vibrations and warmth lead to ultra-deep relaxation. You feel light and free, both physically and mentally. Rational and analytical thinking fade into the background. All feeling is directed towards your inner self. 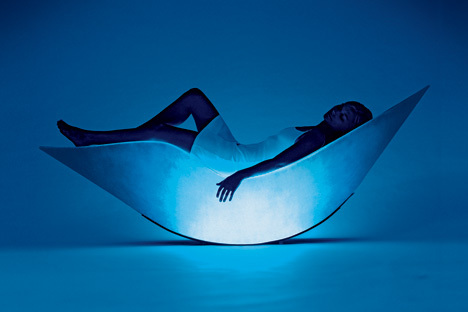 AlphaSphere is relaxing and stimulating at the same time. AlphaSpace is the AlphaLounger’s shell. 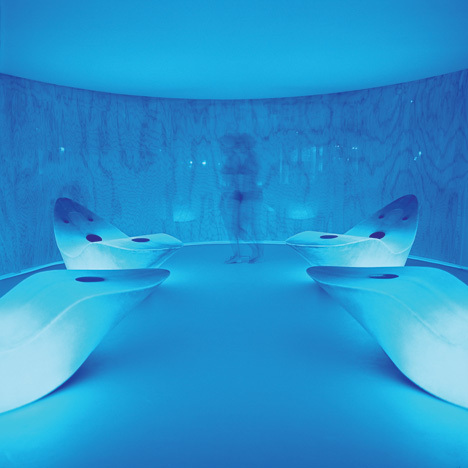 The AlphaExperience is embedded in a “spaceless space”. The AlphaSphere consists of three components. Being a multisensory tool, the AlphaLounger houses all necessary stimuli – it requires no additional technical equipment. The control unit is located in a separate black box connected to the AlphaLounger. The TechBox just needs to be plugged into a power outlet. Plug & Play! AlphaPrograms are the system’s software. Using the remote control, the user chooses a sound program, that runs automatically for 23 minutes or more. Different effects can be achieved by choosing different compositions such as sensitive, basic or intense.There are special programs to expand the range of applications, for example an especially gentle one for expecting mothers. 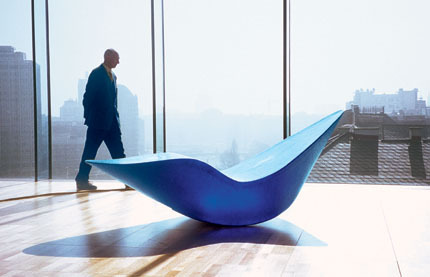 AlphaSpace provides an ideal 3-dimensional setting for the Lounger to achieve its effect. This both visually and acoustically detached retreat from the outside world allows the user to quickly reach the Alpha state without external influences. Its modular structure allows the architectonic integration of Alpha- Space into any given surroundings. Available styles range from the Basic model to the sound-absorbing Comfort model, right up to the high-end glass design model DeluxeSpace.